Dish Network Corporation deals in satellite broadcasting and it puts forward broadcast satellite service, which comprise of audio programming, satellite television, as well as other interactive TV services. It has a huge base of residential and commercial customers in U.S. Founded back in 1996 this company has its headquarters in Meridian, Colorado. Some of the other products that the company offers include pay-per view and pay television. Viewers are free to choose from different service packages that the company offer. The company also operates a number of Blockbuster stores and it also puts forward HDTV channels to its customers in H.264 format. 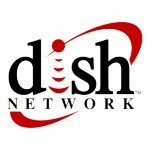 There are currently 8 consumer reviews about Dish Network Corporation available. Share your review. I just had a VERY upsetting interaction with your agents over a mistake your company made. They refused to assist me, then "hung up" on me. On my June 21, 2013 statement, The balance due was $2.12, which we paid in full on June 29, yet you turned off our service without any proper notice to us. It is not our fault your company chose to refund my husband's cash payment back to Western Union without notifying us first that there was a problem with that transaction. Please turn our service back on until we get that refund from us through Western Union or until you can mail us a new statement properly showing the unauthorized refund to them on our behalf. We sent you a double payment over a month ago. You had no problem keeping that money before you earned it. Now show us consideration by keeping our service on that we prepaid you in good faith, then again paid you the balance due on our last statement od June 22, 2013. We have never received another statement showing the balance your company is claiming to be due of $85.85 only days after we paid our statement in full. Account # 8255909778141538 To Whom: I really hope that a person of authority reads this review. On Dec. 15, 2012, my wife ordered your service. Upon completion, no one informed my wife of the exorbitant penalty( $17.00 per month for the remaining months on contract) for early termination of contract. Since I was in the hospital at the time, I was not informed of this penalty. My wife are both in are 79's and we are on SS with very little else to support us. After being stricken with COPD and diabetes this year, our finances are very limited we had to cut back on household expenses. The Dish Network is one of the pleasures we had to cut. When I terminated the service, I was not informed of any penalty. I followed direction and sent the equipment back to company. Then the next thing I know Dish unilaterally removed approx. $388.00 from our checking account. Now $388.00 may not be much to you, however to us this is a lot on money. I contacted you office twice, both times I was told there was nothing that could be done. I would think a company of your the size and the image you represent would help people in are situation. Your company needs to make money to survive but I do not think it is in good faith to penalize people that have come upon a hardship. I hope this letter comes across a desk of someone who can make a executive decision. Thank you. Hello I just recently switched to dish on the 1st of march, I paid 192 dollars and some odd cents on the 1st! Now I am getting shut off today! I called the customer service bc I told the sales rep before I even signed up I can only pay on the third of every month, guess what ?! I'm going to still get shut off! They cannot change billing dates? When I said from the beginning that I could not pay a bill till the third of every month! The customer service supervisor Phillip was very rude and laughed at me. I told him to pull up the recording for QUALITY assurance on the salesman, just so EVERYONE out there knows, Phillip said that they don't record every one of the sales calls, imagine that, and there is NO ONE Above him willing to speak with me! I want something done! It's pretty pathetic that someone can pay that much for installation and then get turned off 28 days later! Phillip needs fired, obviously him sitting on his podeom in front of all the customer service reps( what he quoted) has went to his head, bc ppl like me pay his salary! JUST SO EVERYONE KNOWS, PHILLIP SAID NO ONE COULD HELP ME! WHAT A GREAT WAY TO TREAT NEW CUSTOMERS! Direct tv anyone? Please take a note that you are about to post a public review about Dish Network Corporation corporate office on CorporateOffice.com. This review will be public, so please do not post any of your personal information on this website. If you would like to contact the corporate offices of Dish Network Corporation, please use their contact information such as their phone number, website, and address listed above to contact them. However, sometimes staff from Dish Network Corporation headquarters do read the reviews on this website.